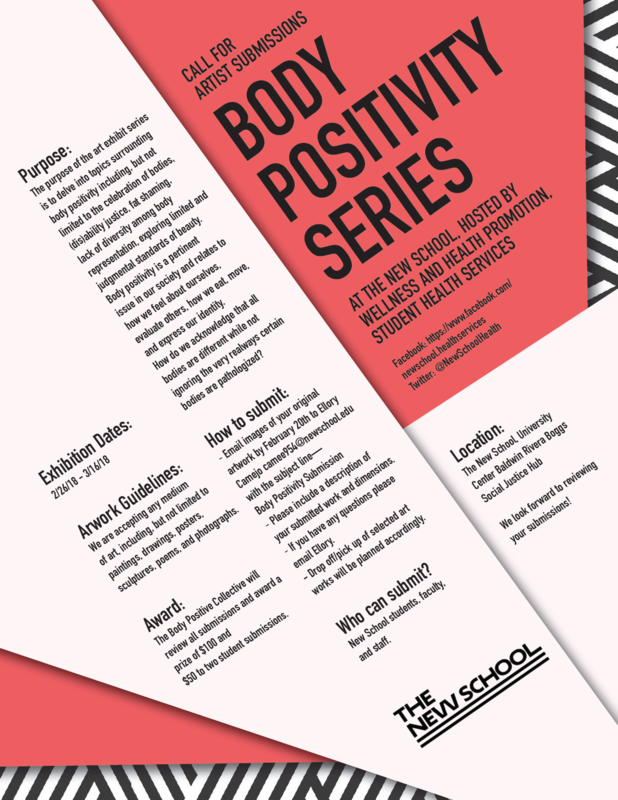 Wellness and Health Promotion’s Body Positive collective is hosting the annual Body Positive Art exhibit later this month. See attached call for submissions for details. The exhibit is open to students, staff, faculty and alumni and the range and type of work accepted is wide. There is a $100 & $50 prize for the best student work received.